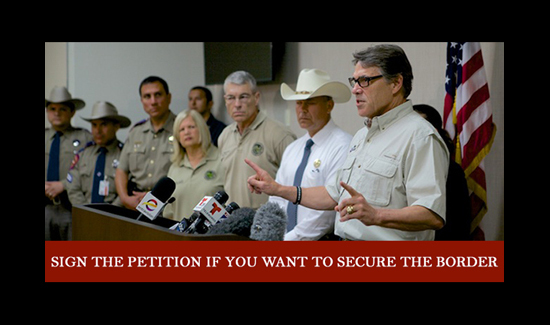 You can sign the petition or donate money to Perry’s reelection campaign by visiting his website. Rick Perry’s planned deployment of 1,000 National Guard troops to the border has earned him criticism from Democrats and Mexican officials alike. Others dismiss the move as a cheap, political stunt from a guy that somehow still thinks he’s a viable candidate for president. Arpaio told FOX News’ Neil Cavuto that he likes the idea of sending in the National Guard because it reminds him of his days working as a DEA agent in Mexico City. So it makes no sense but it does make sense – plain and simple. 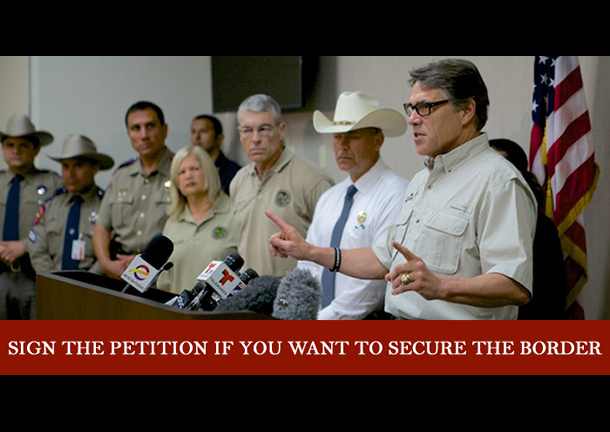 Other border sheriffs panned the Perry stage craft of sending unarmed national guardsmen without powers of arrest or immigration expertise as little more than political theater designed to win the support of likely voters in upcoming elections. The sheriffs were not even consulted about the governor’s plan. And that’s just for starters. Referring to whom and deterring from what are obviously separate questions. After all, if someone is already in the country illegally, it’s very difficult to deter that individuals from entering the country without proper documentation. But for guys like Sheriff Joe and Governor Perry, the border crisis isn’t so much a problem that needs to be addressed and solved. It’s more like a great opportunity to get some face-time on television and sure up the base for the next election cycle.